ZWEI STARKE TEAMS FÜR TRUE RACING IN DER GT4 EUROPEAN SERIES: LAURA KRAIHAMER/REINI KOFLER UND STÉPHANE KOX/EIKE ANGERMAYR! Scuderia Praha will enter three drivers for the 1000 km Paul Ricard race; Stéphane Kox will join Jiří Písařík and Matteo Mallucelli on the Ferrari 488 GT3. The trio aims to fight for the podium in the Pro-Am class. The Kox name is very familiar with Scuderia Praha, as Peter Kox drove multiple seasons for the team. Now his daughter Stéphane will take seat as the third driver, alongside regulars Jiří Písařík and Matteo Mallucelli for the third round of the Blancpain GT Series Endurance Cup at Paul Ricard. The French circuit provides perfect place for a 1000 km race that starts in the afternoon and ends in the night. Given the length of the race, the team wanted to expand the driver line-up up to three drivers. After evaluating various possibilities it was the young Dutch who got the chance to test with the team. 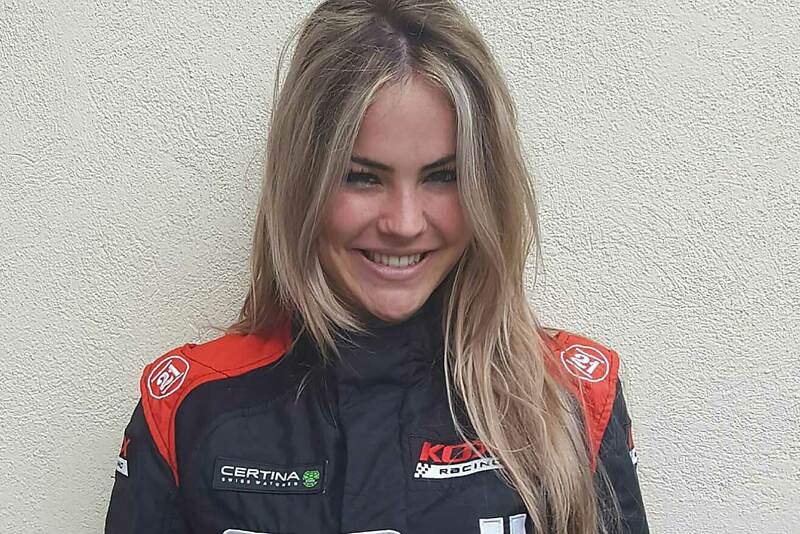 Her performance over the test confirmed her qualities behind the wheel and she is a very welcomed new member of the team for the Paul Ricard race. The weekend can provide an interesting indirect competition for the Kox family, as Stephane´s father Peter will be driving the WRT Audi R8 in the Pro class. In the meantime, Matteo Malucelli is one of the busiest drivers at the moment driving Risi´s Ferrari 488GTE at the 24h of Le Mans the weekend before the third round of the Blancpain GT Series Endurance Cup. The Italian will have just four days to rest and to be ready for the Paul Ricard event, but the team is certain that they will arrive in good shape.